Little humans come in all shapes and sizes. 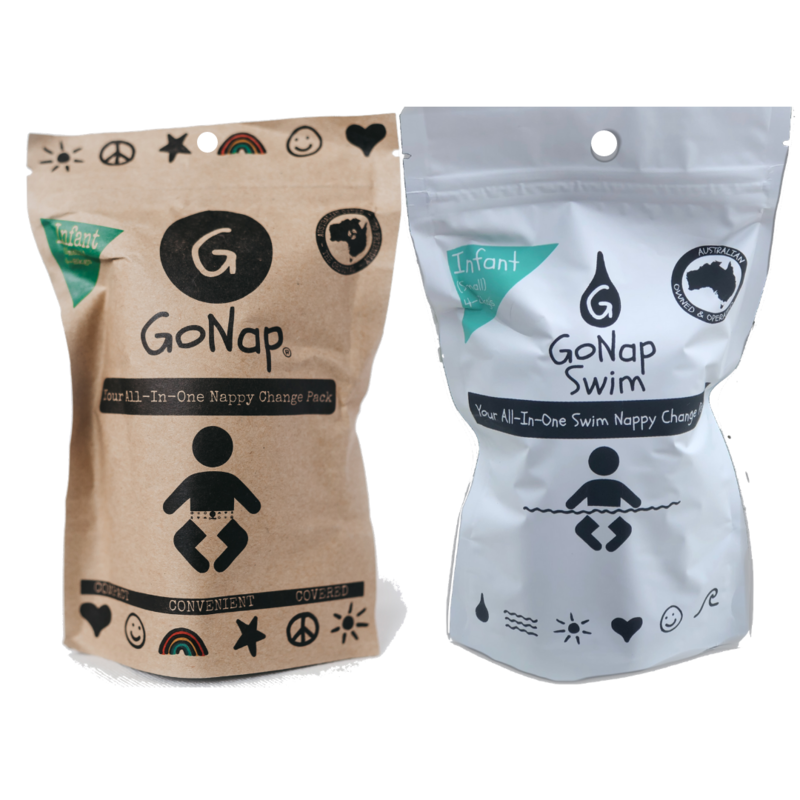 Check out the sizes and more about our awesome eco-conscious nappy packs here. Whether you’re a first timer, or you’ve been around the block a few times, nothing can ever really prepare you for how prepared you have to be with a new little human. One less thing to worry about in these early stages? Oh yeah!! Make sure you have GoNap in your handbag, in the car, in Dad’s pocket – wherever! Available in a pack of 10 online only (6 x pack for GoNap Swim). 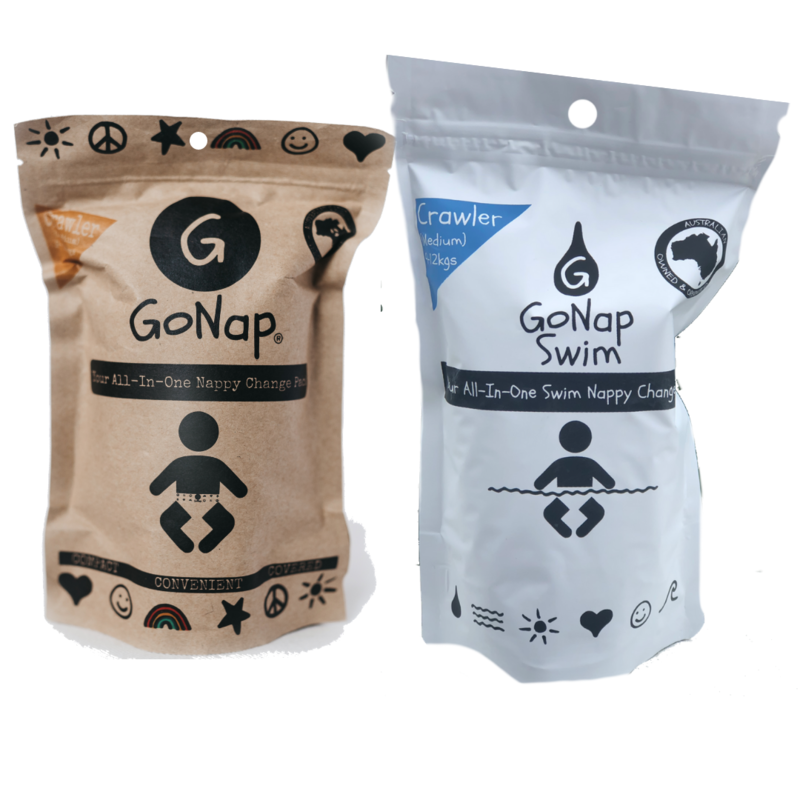 Buy 10 (or 6 for GoNap Swim) with free shipping today! So grown up and ready to explore! And by explore we mean that your little mini is as busy as a colony of ants. The’ve been inside for 9 months, then pretty stationery as a newborn, so now they’re mobile, watch out! Nothing is going to hold them back – so you need to be on your game to keep up – in, out and around water! Free up your time and hands, just grab a GoNap or GoNap Swim and go! GoNap & GoNap Swim Crawlers are with you all the way as your park visits become more frequent, swimming lessons are definitely on the cards, and sitting in the trolley seat is a new found adventure. Designed for the little Miss and Master Independent. They may as well have their drivers licence, they’re growing up so fast! 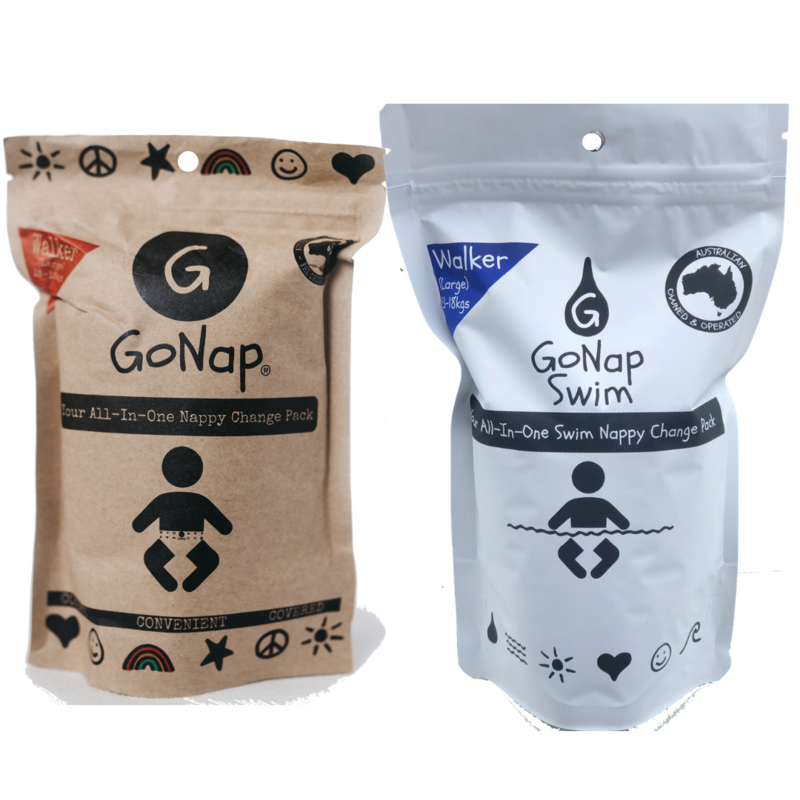 GoNap & GoNap Swim Walkers easily slip in your back pocket, the glove box or under your hat if you suddenly feel the need for a magic trick! Now you don’t have to take the kitchen sink with you everywhere you go, GoNap really prove their weight in gold in and out of the water with how convenient they are! BECOME A GONAP VIPee Today!